Your baby will need a car seat the moment s/he leaves the hospital and will need one as s/he becomes a toddler and eventually a full-grown child. 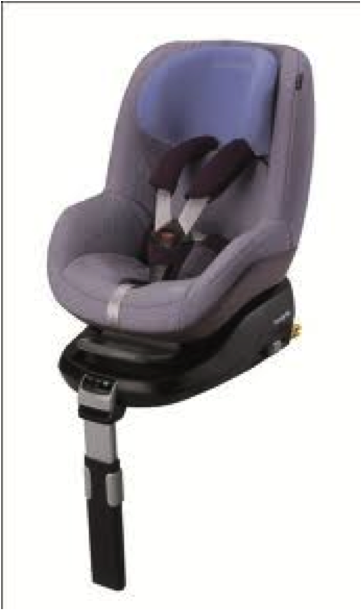 For this post, we will focus on the infant and toddler car seats (birth – 4 years old). 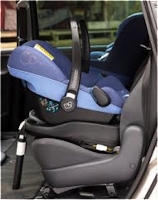 The Infant car seat will stay with the newborn until he/she is approximately 12 months old. This car seat is rear-facing which offers the best protection for the baby of that age and weight. 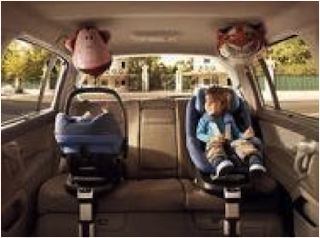 You may think that it is boring for the child to face the back of the seat and not the front, or you may worry that you can’t see the child if you are driving in the front seat, but it is the safest option for the baby. 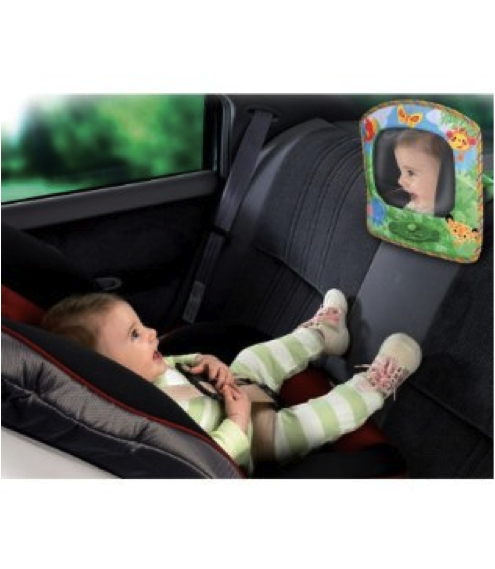 You can easily find little mirrors to attach to the back seat so that you can see the baby and the baby can see some bright colors to keep busy throughout the ride. There are many infant car seats available in the market now, and my favorite is the Maxi Cosi Pebble. The Pebble is lightweight, cushioned, and has “stay open straps” that make it easier to secure the baby into the car seat (you won’t have to struggle to find the seatbelt under the baby, it always stays up). Another feature of the Pebble is that it fits on the Maxi Cosi Family Fix Base, which is a must if you will be taking the car seat around with you wherever you go. We all know that newborns are almost always sleeping (and we want to keep them sleeping), so keeping the baby in the car seat becomes an easy solution when you can easily “click” the car seat in and out of its base. 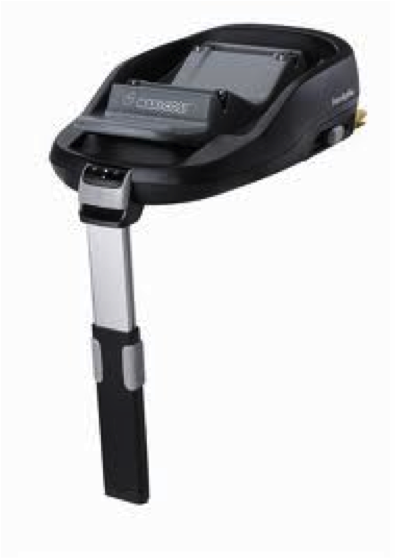 The Family Fix Base will always be secured in your car so that you don’t have to worry about installing and uninstalling the car seat every time you go for a ride. The convenience of having the car seat and base combo also carries on to the stroller. 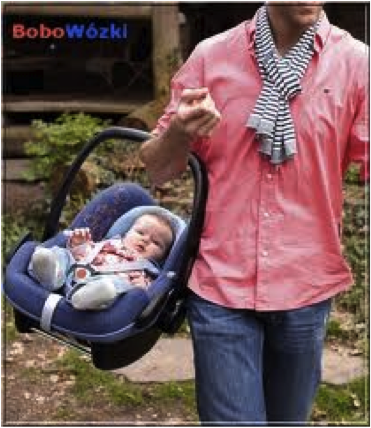 Maxi Cosi provides adaptors for many of the strollers (Quinny, Stokke, Bugaboo), which allows you to use the car seat on the stroller itself. This means that you won’t have to un-strap and re-strap your baby into the stroller when you are finished from your outing. Again, this is convenient when your baby is sleeping and you can keep him/her sleeping through the car ride since you won’t touch the baby when taking him/her from the stroller into the car. A unique feature of the Pebble and Family Fix Base is that once your child outgrows the Pebble car seat and is ready to move to a forward facing car seat, you can keep the base and just attach the Pearl Toddler Seat. That means that with one base you can attach both the Infant Pebble and the Toddler Pearl car seats on the same base, a two for one deal. Unfortunately, the Family Fix base is not yet sold in Kuwait. You can order it online from www.justkidding-me.com and they will ship directly to Kuwait from Dubai. 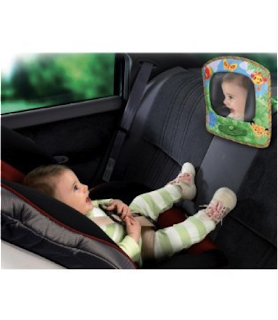 They have the full line of car seats and accessories as well which you can order. 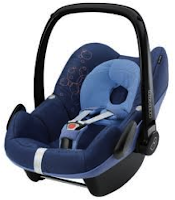 If you do not want to buy the family fix base and just want an infant car seat that can be installed using the car’s seat belt, then I recommend the Maxi Cosi Cabrio Fix. This is the best-tested toddler car seat from the Maxi Cosi brand. It offers the “stay open straps”, an adjustable headrest that can grow with your toddler, and the option to have the car seat easily tilted to 5 different positions from sitting to sleeping. The Pearl only attaches to the Family Fix Base. So if you do not intend on buying the base, then I recommend the Maxi Cosi Tobi, which can be installed using the car’s seat belt. Great review! I am a fan of the maxicosi car seats.. Just a note though that I found the family fix in Kuwait at mother care (avenues) but they were low on stock. Worth check both mothercare and baroue if anyone wants to avoid ordering online.. Absolutely... Thank you for sharing! Never neglect the properly regarded web notion of "standing out from the crowd". sense to establish a blog.